Will US Persuade Other Countries to Reject Huawei? Last week the Wall Street Journal reported that the United States government is trying to persuade foreign allies not to purchase networking equipment from Huawei. This development is unsurprising. Security concerns prompted US legislators to block Huawei from selling to US telcos in 2012, and the American precedent was recently followed by Australia, whose government banned the use of Huawei and ZTE 5G equipment in August of this year. The administration of US President Trump has also been willing to cite national security as a reason to impose barriers to other Chinese products, such as steel. And the case for trusting Chinese tech is not helped by Bloomberg publishing stories about Chinese spy chips compromising servers used by Apple and Amazon, whilst internet experts question why China Telecom misdirected US internet traffic through mainland China. Other US allies like Britain have shown themselves willing to continue purchasing Huawei’s products, so long as the Chinese firm is willing to jump through some additional security hoops. The UK’s approach has not changed even though the watchdog that checks Huawei tech cited security concerns this year. Now Huawei is opening a security lab in Bonn, with the intention of showing the Germans there is nothing hidden in their code. Huawei describes themselves as an employee-owned business, which operates independently of the Chinese government. To the extent they are independent, Huawei is willing to criticize Chinese government policy, as occurred in 2015 when senior Huawei executive Xu Zhijun said China needed to open its market to overseas tech suppliers. Although the risks of using a Chinese business are obvious, Huawei has an advantage that will help many executives and politicians to overcome their concerns: Huawei’s 5G technology works and is competitively priced. Despite the security concerns that surround Chinese firms, rival suppliers of network technology like Ericsson and Nokia are not given favorable treatment, even within Europe. Partly this is because EU politicians are more focused on boosting their popularity by lowering the price of telecoms services whilst countering the perception that Europe is falling behind in the race to provide high-speed broadband and to stimulate high-tech businesses in general. The lack of bias also reflects the truth that those suppliers headquartered in the West also rely on supply chains involving manufacturers in the East. My guess is that few countries will follow the lead of the USA. Western politicians win relatively few votes by focusing on the risks posed by China to security, privacy and the protection of intellectual property, mostly because those same politicians also argue for more power to spy on their own citizens. Price and quality will have more influence over which firms will be supplying 5G equipment to telcos worldwide. Huawei has the advantage in those areas, and it is an advantage they will fight to retain. 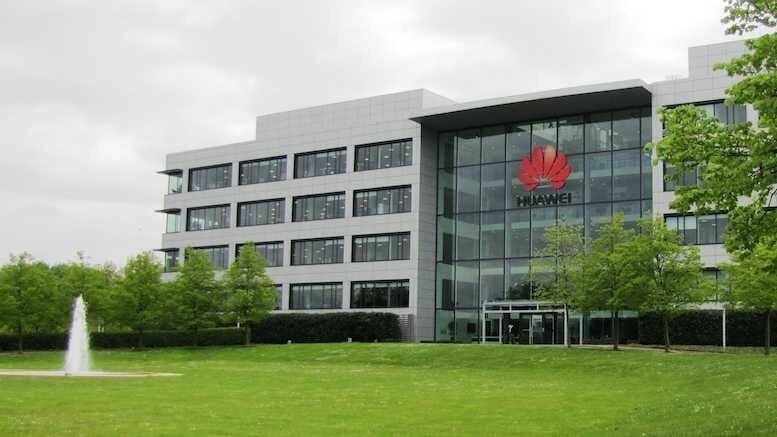 Update 28th November, 16.20 UTC: New Zealand intelligence forces have prevented Spark from purchasing Huawei 5G equipment, as reported by Reuters.